Limited Tickets Available! Only 200 of these tickets will be sold per season. Get the true VIP experience all season long. Free VIP parking. Special seats in the Baron's Box for jousts and the battle pageant. Member's only rest area with free refreshments. Sing with the Baron at Beer with the Baron. Discounts on beverages at Festival beverage stands. Ladies and Lords of LORE passes are WILL CALL only and available for pick up at the box office. Please bring ID or proof of purchase. 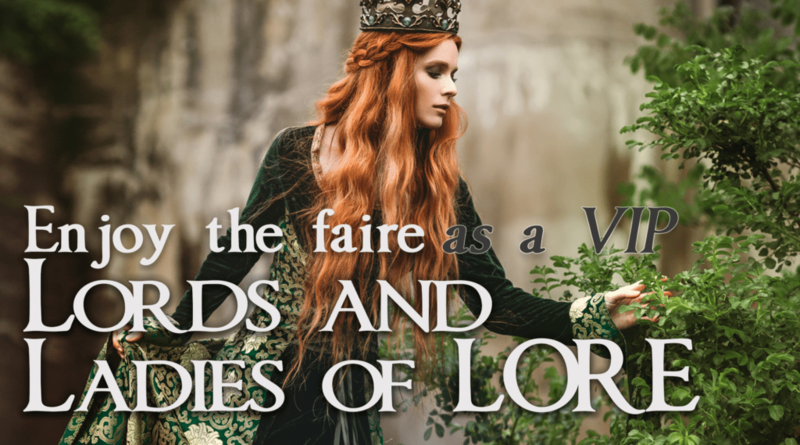 Ladies and Lords of LORE provides admission for one person on all operating days of the 2019 season. Baron's Box seats are limited to 12 per show time. First come first serve. VIP parking is first come first serve. Limited spots available. Purchaser will receive $1 off their beverages at any of the 5 official Koroneburg beverage stands.